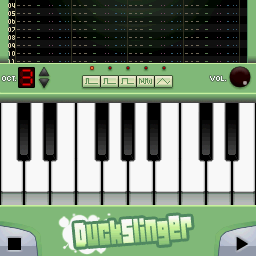 This audio application uses "tracker" style interface cells and includes a keyboard which features multiple octaves. And this is for...?? Wii NDS...? ?